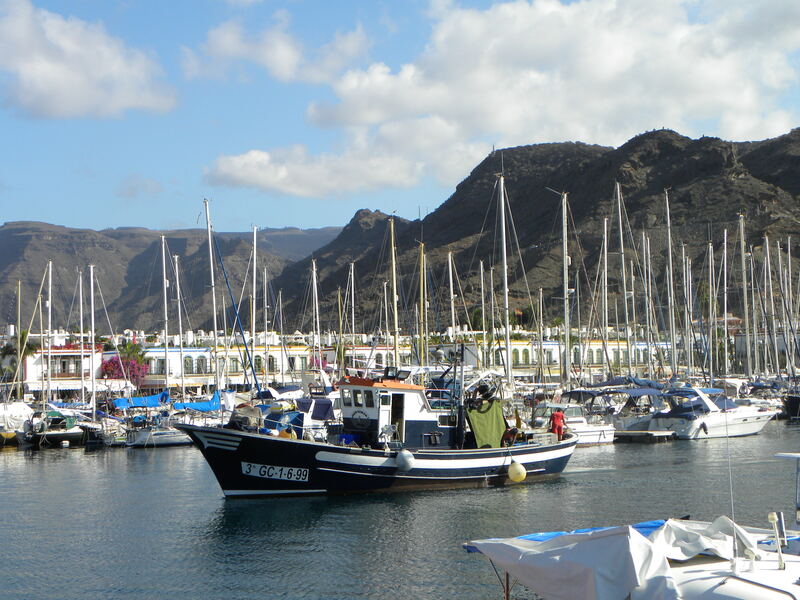 The fishing fleet of Gran Canaria is made out of glass fibre or wood, under 15 metres overall length, being the majority of boats of between 6 and 9 metres overall length. It is an old fleet, polyvalent to a certain extent and scarcely equipped. 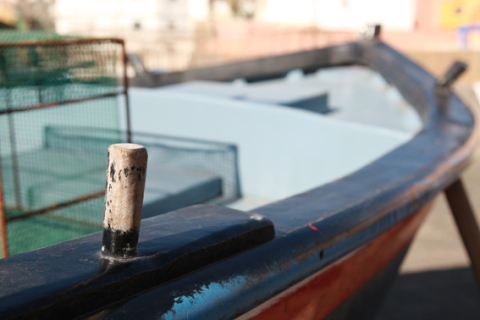 In general, the modernization of this artisanal fleet, especially those of a lower length, has decreased its pace in the last years due to the drop in profitability and to the administrative barriers to investment. 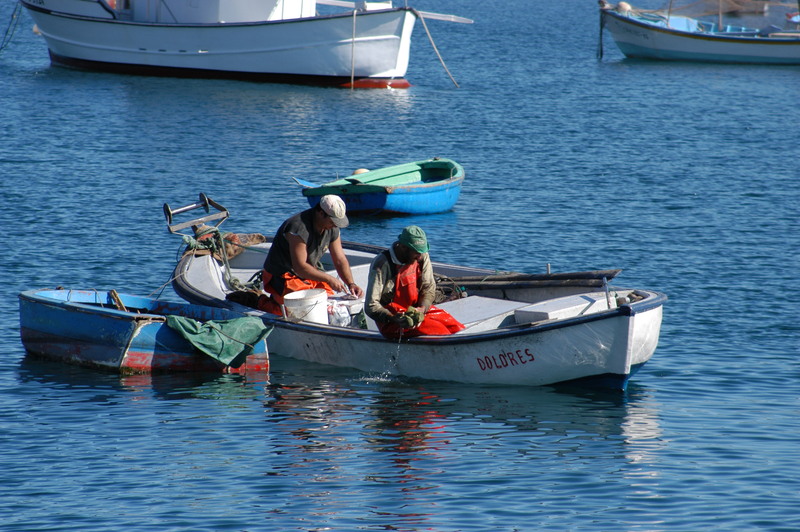 As for the middle-sized boats (tuna fishers and some artisanal boats), the fleet enjoys a high technical level, reached mainly thanks to the backing of European funds. 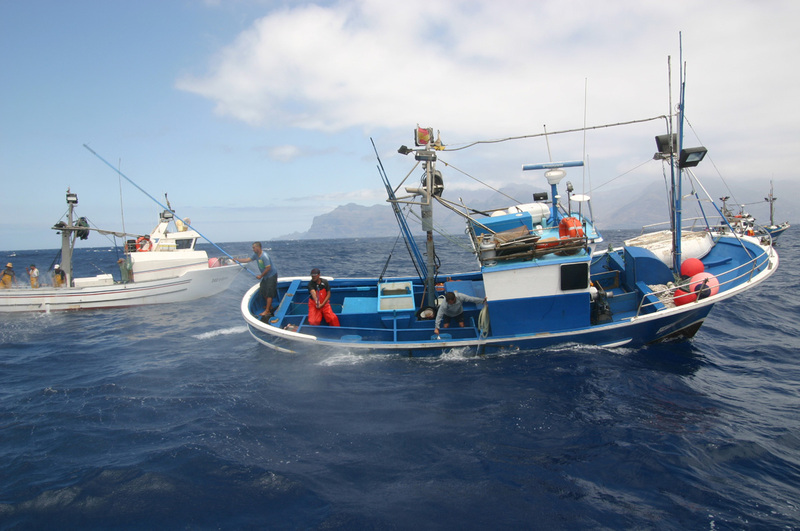 However, on the other hand, considering the fishing resources available and the existing productive strategies, some oversized boats can be pinpointed. 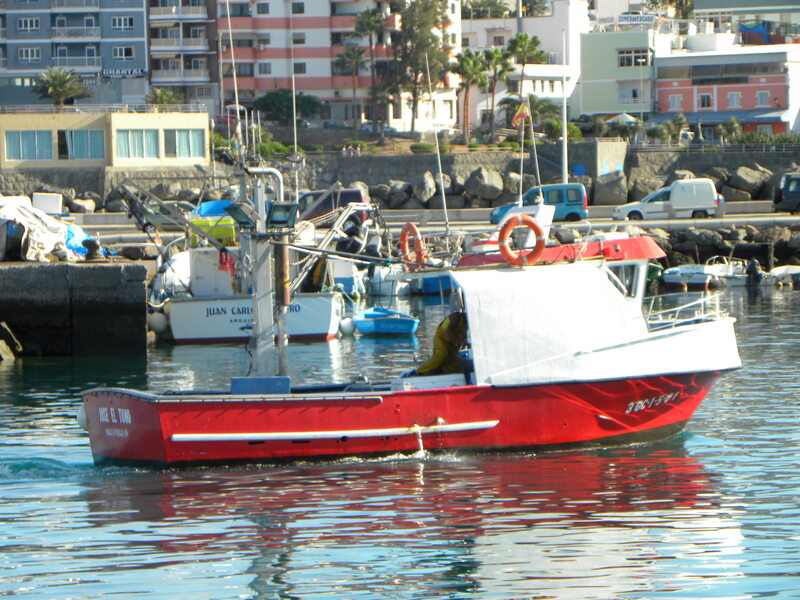 Hence, the Canarian fleet is highly specialized, adapted and knowledgeable of the Canarian sea environment and of the Mid-Atlantic waters. 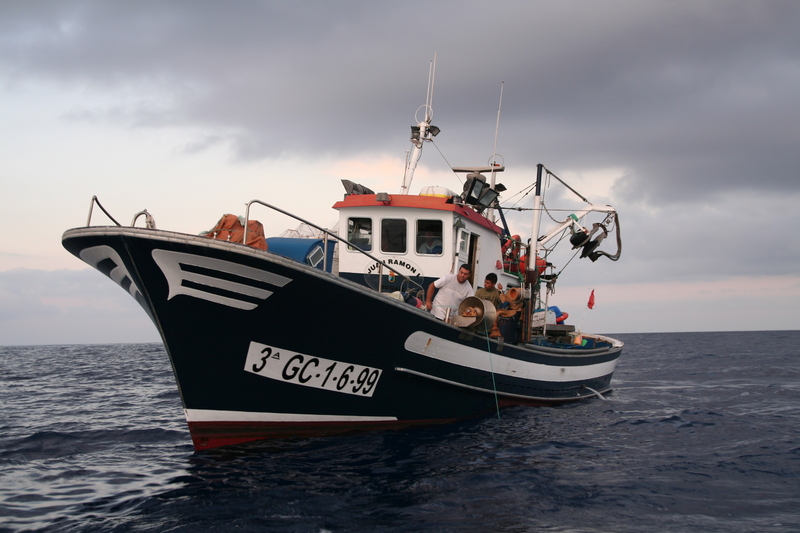 Professional fishing vessels in the island, as it happens also in the rest of the Spanish territory, are registered in an Operating Fleet National List (Censo Nacional de Flota Operativa), in the Third List corresponding to ships used for commercial fish and other marine live resources catching and extracting. 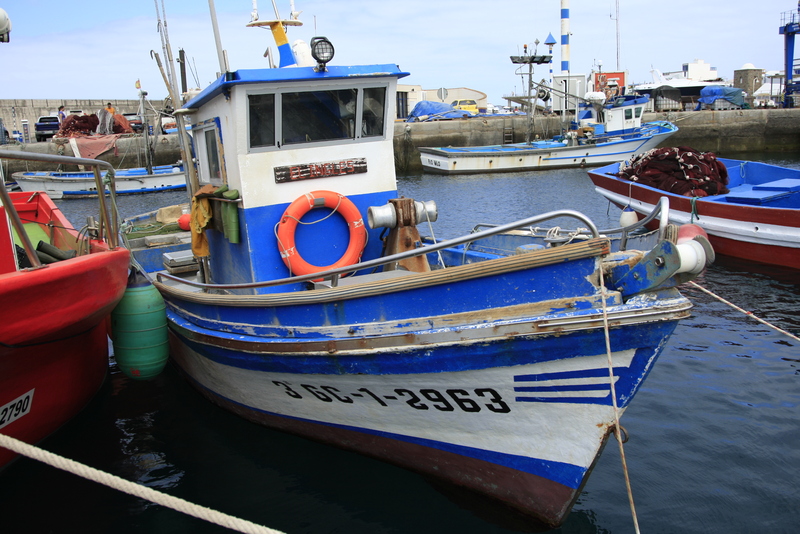 This is why the professional fishing vessels registration number starts with number 3, being easily singled out from lists corresponding to other categories (such as 7, for non commercial-recreational fishing; 2, for passenger and/or goods transportation; etc). 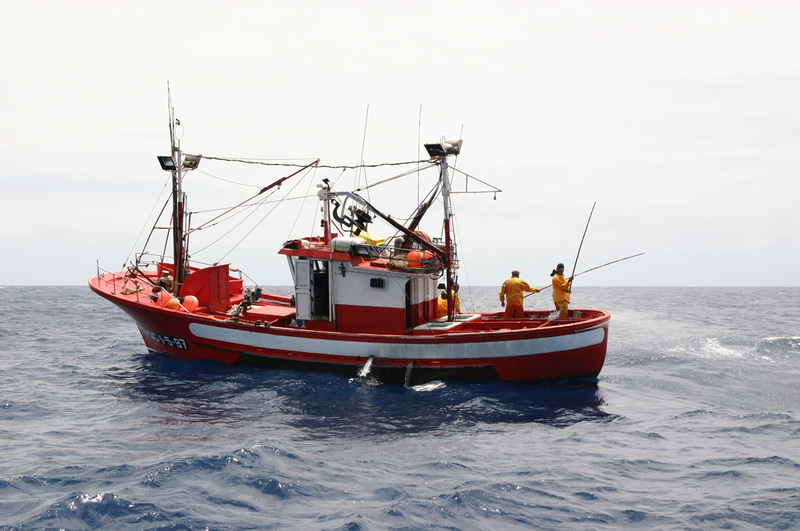 Professional fishermen in Gran Canaria may use a variety of fishing gears which can be classified in three groups: trap, net, and hook and line. 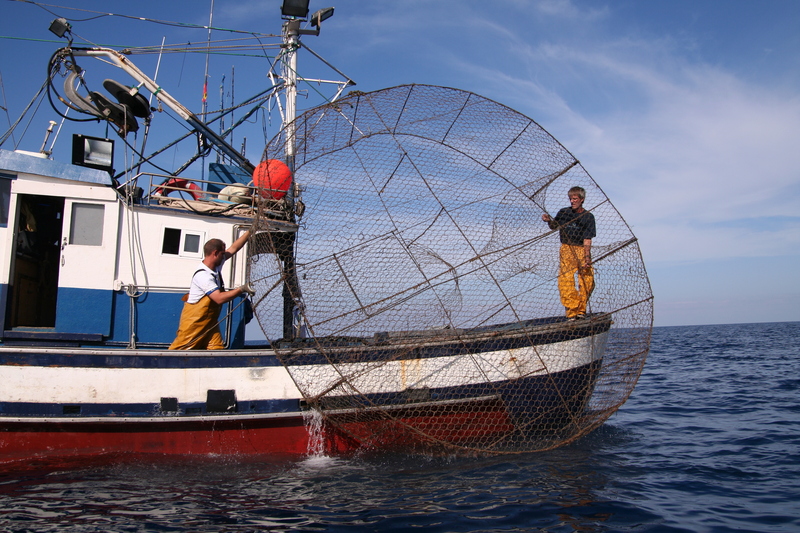 The type of seabed on which the gear would be used (rock, sand or mixed) and/or the depth of the fishing activity (the deeper, the larger the size) determine the features of the fishing gear to be used (dimensions, mesh size). 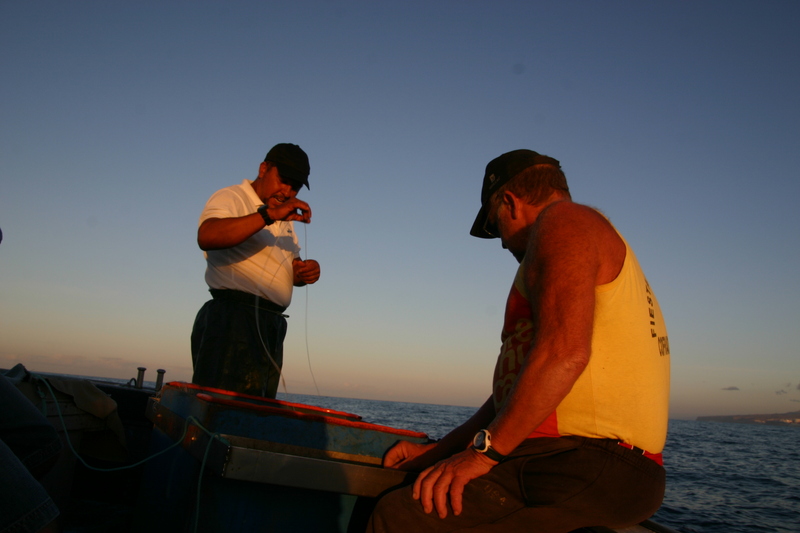 Despite exceptions, the majority of artisanal fishing gears operate at lower depths (0-150 mtr) (González et al. 1992, Rico et al., 1993), being this the level of greater diversity of species, so the range of captured species is huge. 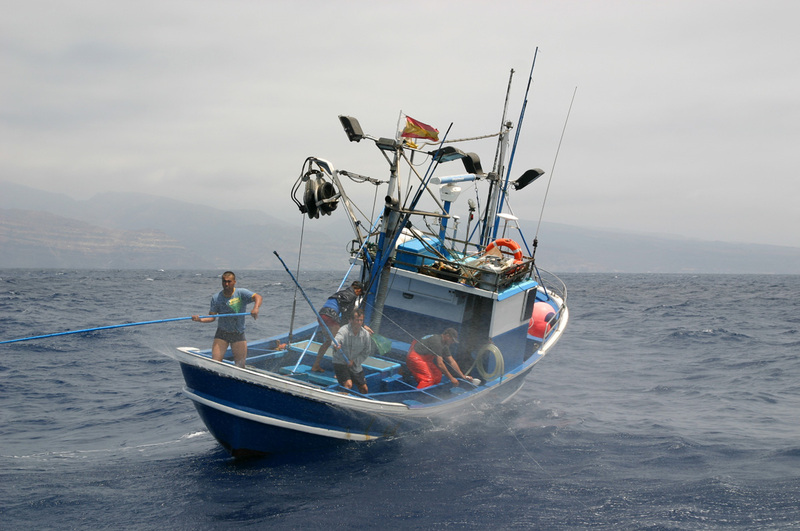 Classified as a minor fising gear, this trap-like technique is the most used one by professional fishermen in Gran Canaria because of its easy handling and great resistance to harsh weather conditions. Made of degradable material, its dimensions are usually three, six or twelve metres in circumference, varying the soaking time between three and ten days depending on the size and state of the sea. 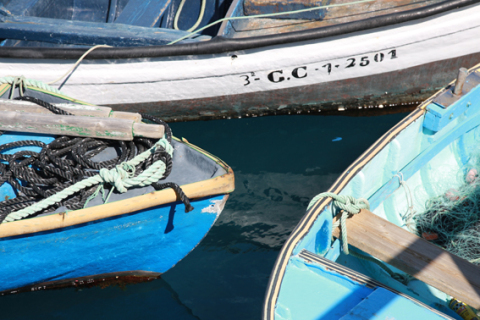 Used all year round, smaller pots are soaked at lower depths (“on shore”) and mainly in the winter months whereas medium sized and large ones are soaked at different depths throughout the year (exception made of the tuna season). 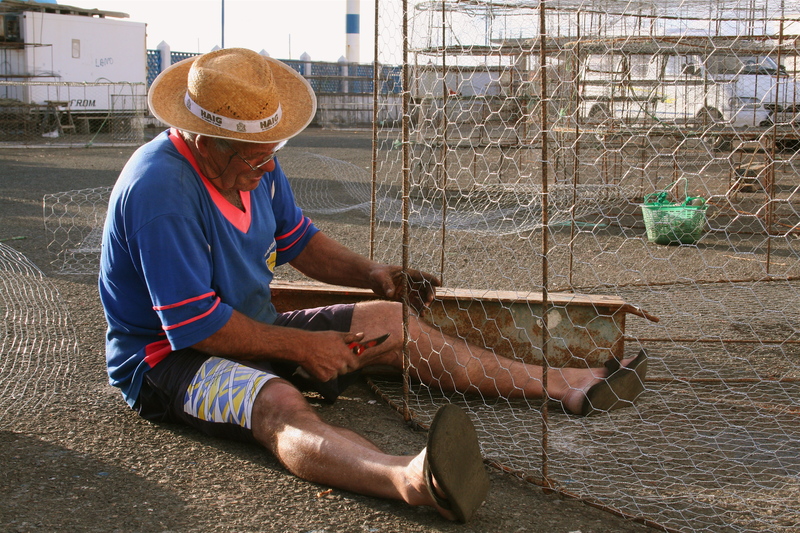 Pots are used to catch mainly commercial fish of assorted size such as red mullet, planehead filefish or common octopus, hard to catch by other means. 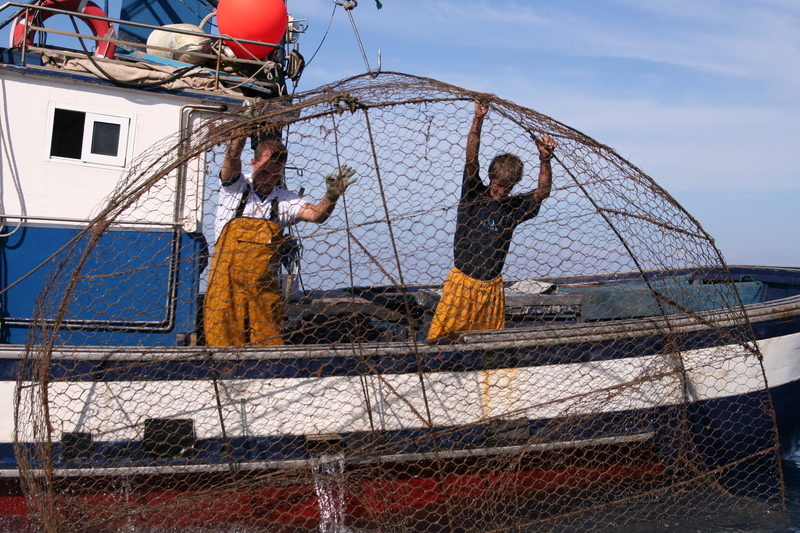 A very positive feature of pots is that the fish are carried on board alive, so small sized pieces or non-commercial ones can be sent back to the sea on the spot. 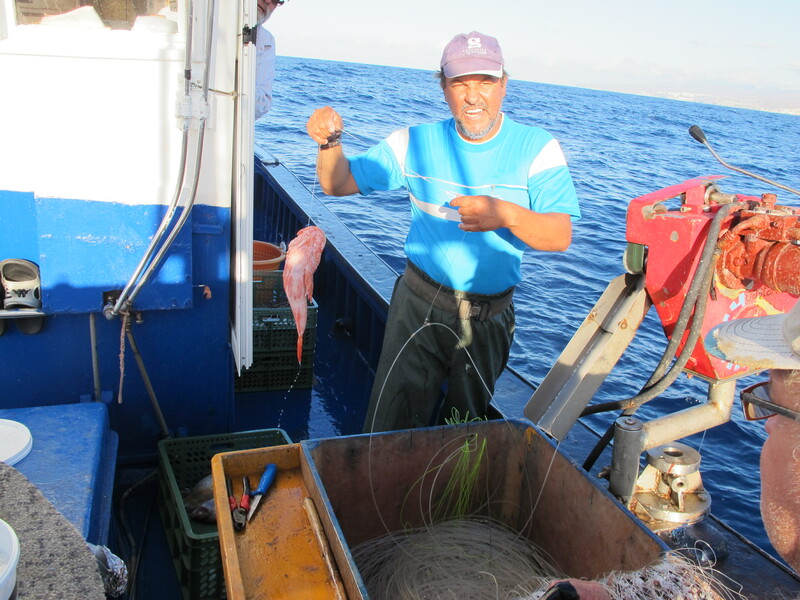 By using this method, fish makes it alive to the shore, so the maintaining of the cold chain as well as the preservation of the quality, nutritional and organoleptic attributes are assured. 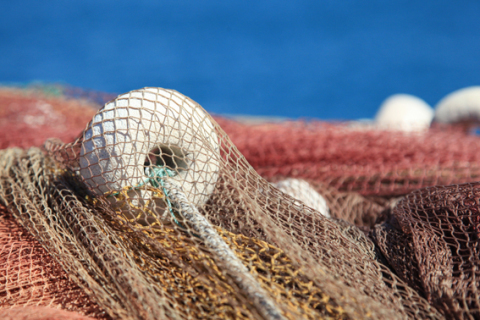 Classified as a passive fishing gear, these nets are not selective neither in size nor in species, so its use is only allowed in designated areas and/or times in the year. 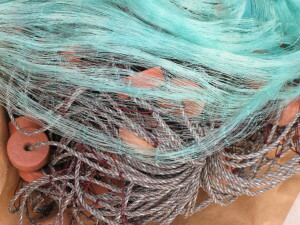 At a minimum depth of 30 metres, a nylon net is set, practically invisible under the water, remaining anchored till the following day so the fish gets tangled on it. This net, used mainly to catch Mediterranean parrotfish and Black seabream, must be duly marked with buoys and identified, with lengths kept to a maximum of 350 metres and meshes size to a maximum of 82 milimitres. 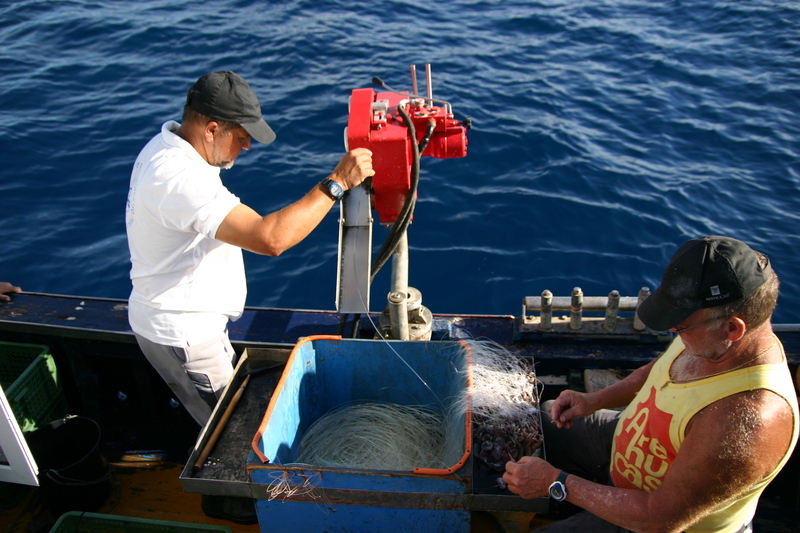 This hook gear, which must be duly float-marked and identified, cannot exceed 2,000 metres of total line length nor bear more than 550 hooks (as stipulated by the Canary Islands Fisheries Law). 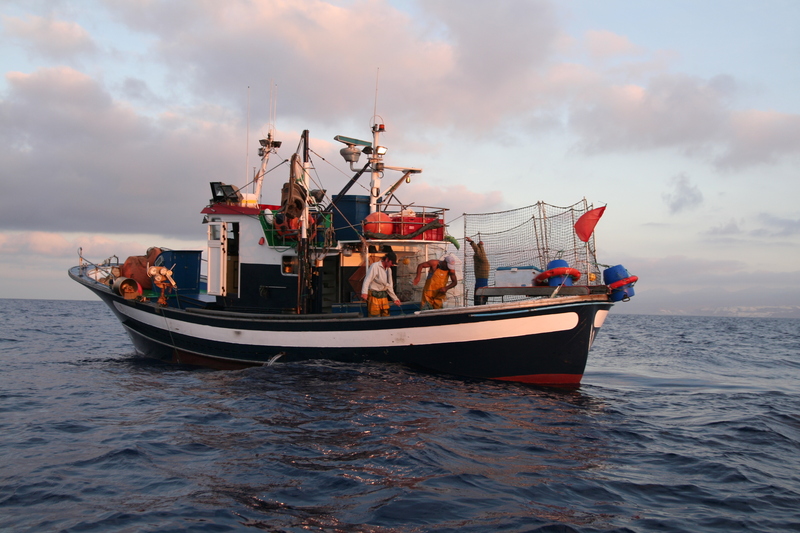 Classified as minor gear, longline fishing is used mainly for catching large fish (Pink dentex, Redbanded seabream, Grouper, Amberjack, Shark and Hake) in relatively calmed waters. 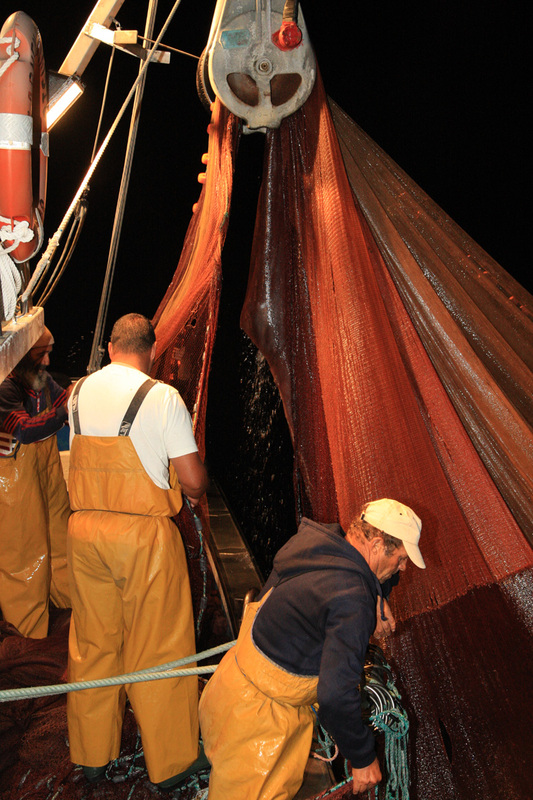 The selection of species to catch with this gear depends greatly on the depth and type of seabed where the activity takes place (rock, sand, mixed, etc.) besides the size of the hook itself. 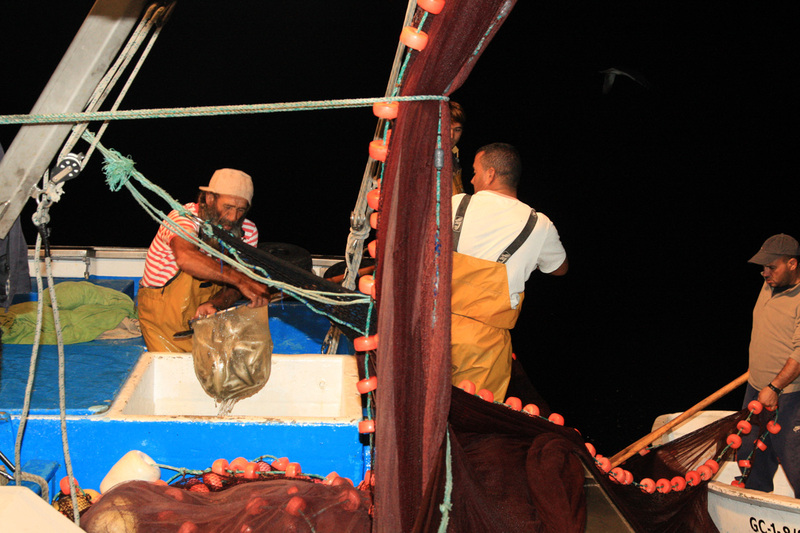 Longline fishing is usually carried out at night, close to the land especially in order to catch Red porgy; in daylight it is set “on reef” proximities at average depths of 120 metres and over 200 metres for Hake fishing. 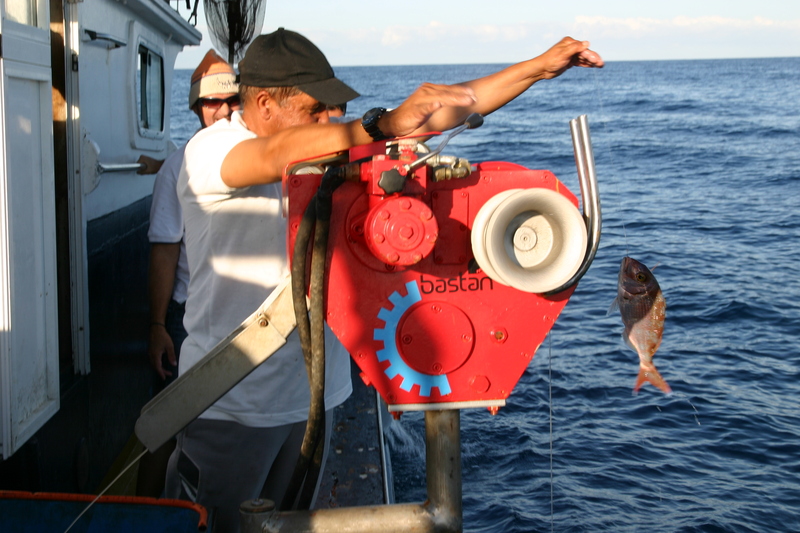 The use of this technique is aimed for catching all kind of Tuna, mainly between April and October. 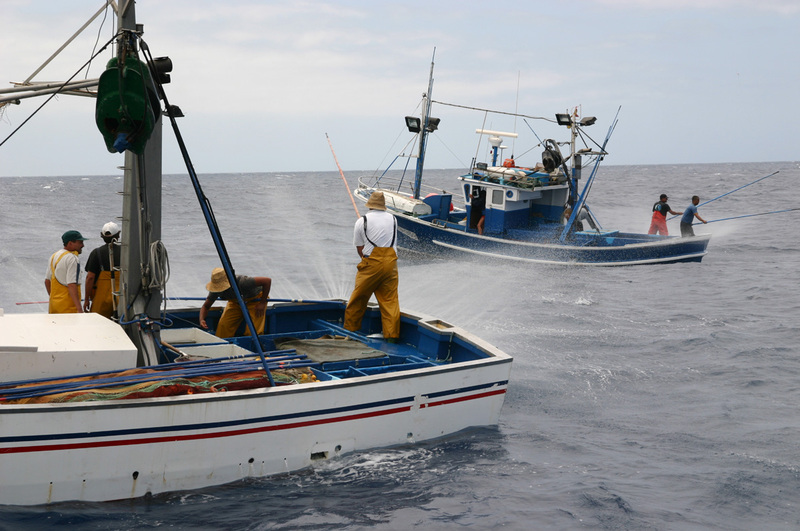 Tuna are attracted to the catching area throwing high-pressure water on the sea surface while natural bait is set to attract and confuse the fish (“hacer bulla”: an expression that could be roughly understood as stirring the surface), which would be finally hooked on one by one. This selective type of hook is used for fishing squid or cuttlefish. It is made up of a main single line with a cylindrical bit hanging from it and several shorter lines of hooks or other sharp element attached to the latter. 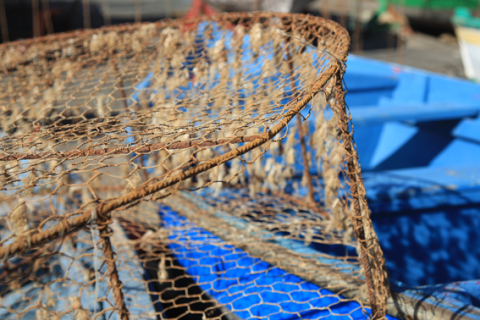 This active netting method is widely used by Gran Canaria professional fishermen in order to catch small sized coastal pelagic species such as anchovy, pilchard and mackerel. 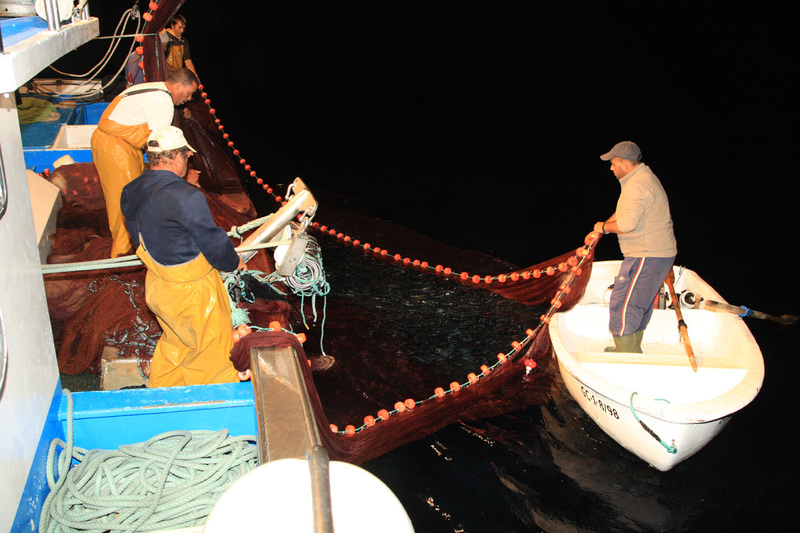 It is a technique of sound importance in the tuna fishing as it is used to catch the bait needed for capturing such species. To deploy this gear two boats working jointly are needed. 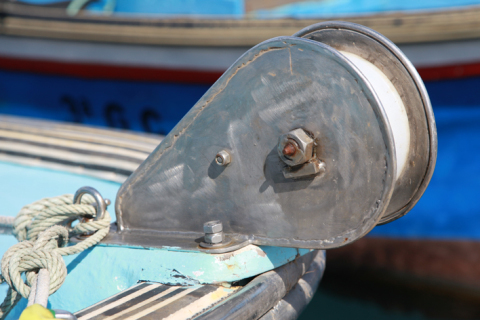 The faster boat, easier to manoeuvre, will set the net as quickly as possible, so the shoal (a school of fish) earlier spotted or attracted by intense lights is seined and later pursed.